In- stock full lace wigs and lace front wigs comes standard light brown, medium brown and dark brown to be match your complexion for an highly undetectable hairline. Our standard in-stock lace front wigs are made of the finest undetectable soft Swiss lace. 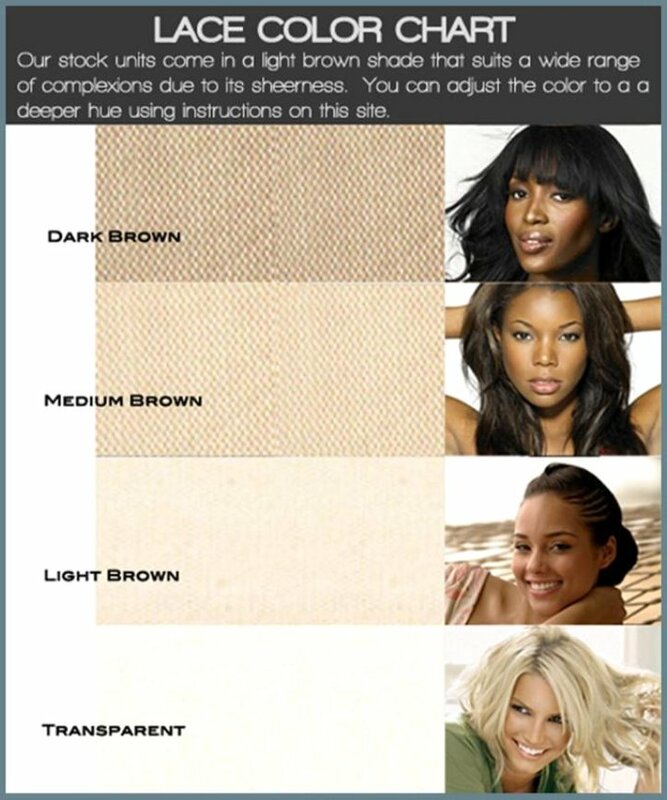 Taking a glance at our lace color chart below will better assist you in matching your lace color that matches your complexion, for undetectable wear of either purchased items such as lace front , full lace and or custom wigs as well as lace frontals, top closures and other lace hair pieces at Lace Frenzy Wigs and Hair Extensions. Choosing the correct lace color for either frontal , closure or wig will give off the best undetectable hairline matching it closest to your skin complexion. You always choose the lace color closest to your skin complexion for the most undetectable attachment of your hair piece or silk top lace wigs.